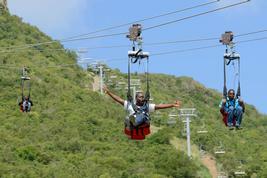 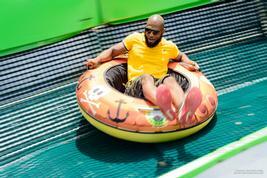 Head up into the lush highlands of St. Maarten for a thrill-infused adventure. 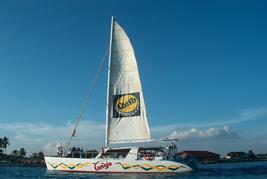 Start your adventure with a visit to a 17th-century plantation house and learn about the island’s history and culture. 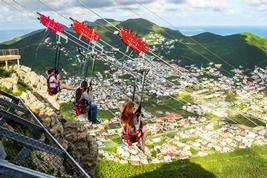 Then take a chairlift ride 1,125 feet up to the highest point aboard the Sky Explorer for a chance to admire the lush scenery and panoramic views across the island. 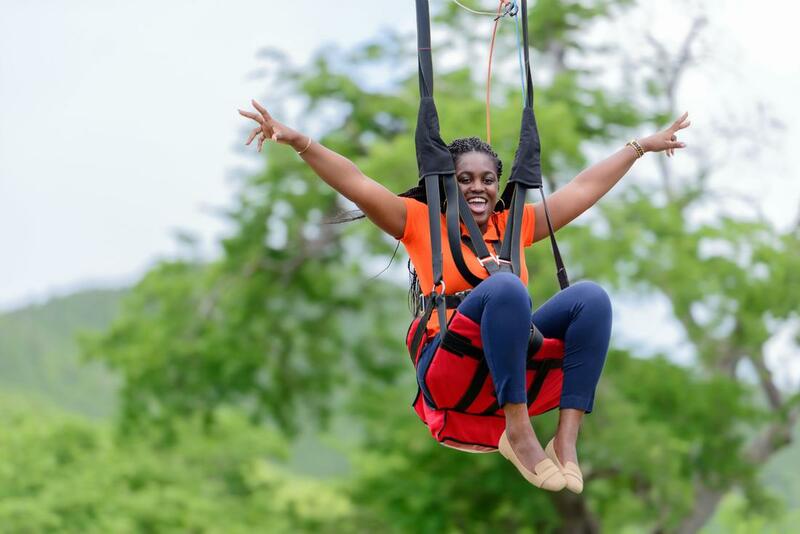 Next, you’ll fly back down the mountain on the world’s steepest zip line with an astounding 1,050 feet plunge on a 2,630 feet zip line: The Flying Dutchman.